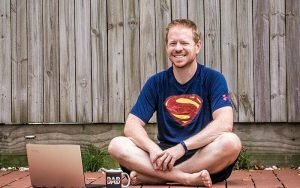 My name is Paul and I’m a Microsoft MVP, writer, speaker and trainer living in Brisbane, Australia. I’m an Office 365 and Exchange Server specialist who has been blogging and writing since about 2006. I run Practical 365 (formerly Exchange Server Pro), a leading community site for Office 365 and Exchange Server technical content. I also enjoy technology in general, as well as photography (I used to be a mobile-only photographer but now I also use a DSLR). In 2014 I did my first photography project, a 365 project that you can see here.